The 23rd century may seem a long way off, but you'd be surprised by how much of the future predicted by "Star Trek" is already here. We already have handheld communicators (smartphones), sassy voice-driven computers (Siri), Geordi La Forge-like vision (Google Glass), and at least 4.5 billion Earth-like planets to choose from. (Whether any of them contain green-skinned alien babes in gold bikinis is still to be determined.) As for warp drives, transporters, phasers, and the rest? It will be here sooner than you think. 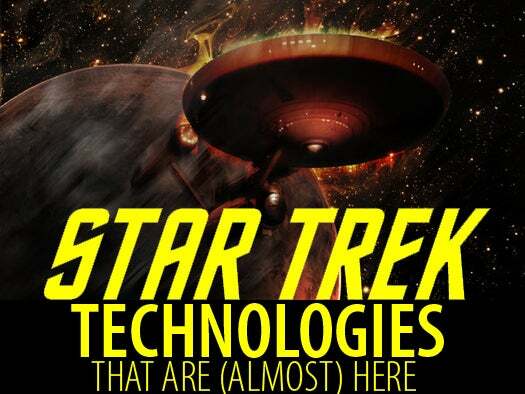 Join us as we boldly go on a tour of "Trek" tech. To explore the final frontier we'll need to bust through Einstein's speed limit (aka the speed of light). Enter physicist Miguel Alcubierre. In 1994 he theorized you could shorten the distance between stars by placing a ship inside a bubble of normal spacetime and warping space around it. Last September, NASA scientists reported that changing the shape of the bubble would slash the amount of energy required by Alucierre's design, making warp drives almost practical. The downside? The resulting wave of matter pushed ahead of the ship might obliterate anything in its path, putting a total damper on those "Welcome, Earthlings!" parties. Having your atoms scrambled in one location and reassembled elsewhere beats the hell out of squeezing into a coach airline seat. While getting there is a wee bit more challenging than saying, "Beam me up, Scotty," teleportation has already been achieved on an infinitesimal scale. In 2006, researchers in Copenhagen used quantum entanglement to transport a microscopic hunk of matter some 18 inches. Three years later, scientists at the Joint Quantum Institute transported information between sets of entangled atoms three feet apart. At this rate, we may be able to transport complex objects over large distances in a few hundred years. Energize! For decades the military has been trying to develop a weapon that harnesses high-energy light to vaporize foes (and/or angry reptilian bipeds), like the Personnel Halting and Stimulation Response (PHASR) rifle or the Phased Hyper-Acceleration for Shock, EMP, and Radiation (PHASER) ball lightning cannon, as well as a number of others with less cool acronyms. The reason we don't we have one yet: Devices that can deliver enough firepower still require a battery the size of a shuttle craft and put out enough heat to burn a hole in your hand. It's hard to be an intergalactic hero while wearing an oven mitt. Woe unto the starship that gets caught in a tractor beam and is ignominiously dragged toward a squadron of Romulan warbirds. Can't happen, you say? Don't be so sure. Last year, scientists at Technion Israel Institute of Technology published a paper describing how you can employ light waves to pull or push objects through space, using negative radiation to create an optic vacuum within specially designed metamaterials. What does that mean, exactly? Sorry, you'll have to get Geordi La Forge to explain it to you. In the "Star Trek" universe, anyone hankering for a shot of Silurian brandy or a cup of Earl Grey (hot) need only locate the nearest replicator and order it to whip one up. Today's early replicators are called 3D printers, and they're available at office supply stores. Download code to the printer, then watch as it lays down successive layers of whatever you desire -- provided you desire something made from solid chunks of polymer. Printers that can combine different materials and even lay down printed circuits are on the way. Today, plastic molds; tomorrow, a wriggling bowl of gagh. The Doctor from "Star Trek: Voyager" was efficient and dryly sarcastic, and he refused to make house calls. Why? Because, as a 3D hologram, he was confined to the four walls of sick bay (mostly). The Doc's fleshless forebears are already at work today guiding travelers through international airports in New York, D.C., and London. Airus Media's Advanced Virtual Hologram Assistant (AVA) uses projectors and biped-shaped glass screens to display 3D human avatars; future versions will be able to recognize speech and respond to questions. Yes, they also make a virtual doctor (pictured). Now please state the nature of your medical emergency, then turn your head and cough. From the Fitbit to Nike Fuel, devices that can wirelessly monitor our health are proliferating faster than you can say, "Dammit Jim, I'm a doctor, not an engineer." How close are we to a working Tricorder? 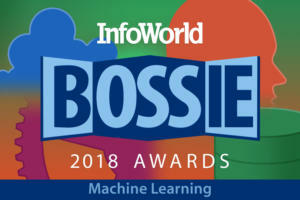 Qualcomm is offering a $10 million X Prize to the first team to build a portable diagnostic device that can measure vital signs and detect at least 15 diseases. Meanwhile, impatient Trekkers have already built boxy Linux-powered science Tricorders that can detect atmospheric, electromagnetic, and spatial properties. Fascinating, captain. Who doesn't want a holodeck in his rumpus room? Later this year, Microsoft Research plans to unveil a proof-of-concept holodeck called the IllumiRoom (pictured, or at least an artistic PR rendition of the concept), which uses the Xbox Kinect and multiple projectors to combine physical and virtual worlds. Students at USC are building their own holodeck around a Sony PlayStation, though it still requires a dorky VR headset. Even NASA confessed its holodeck fantasies at a game developers conference last March. Soon you too may have your own virtual 3D world to escape to -- provided you can persuade Riker to give it up for a few minutes. How do you know the Romulans and Klingons were truly badass? Because they had cloaking devices. 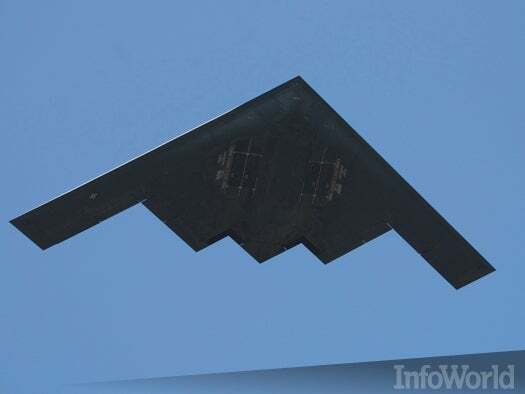 Since the early days of the Stealth bomber (pictured), the U.S. military has been seeking ways to make its own warbirds less of a target. Using metamaterials not found in nature, scientists at the Karlsruhe Institute of Technology have developed cloaking tech that can bend light, heat, and sound around objects. Unfortunately, the current iteration of the cloak is thinner than a human hair. The next challenge: Figuring out how to build really tiny starships. Perhaps the single greatest challenge in all of the Trekverse is creating a sentient android like Lt. Commander Data from "The Next Generation." Even in the 24th century there was only one of him (well, two if you count his emotionally unstable twin, Lore). 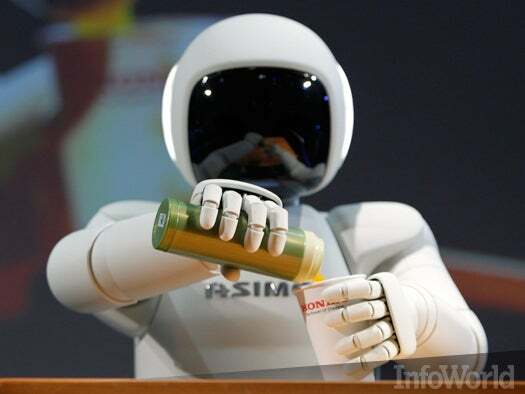 Somewhat less precocious cybernetic bipeds have been around for more than a decade, starting with Honda's walking, dancing Asimo (pictured). The first generation of robotic helpers has already been deployed to provide companionship for the elderly and infirm, as well as perform tasks too dangerous for humans. Let's just hope nobody develops an emotion chip. That could turn ugly fast.